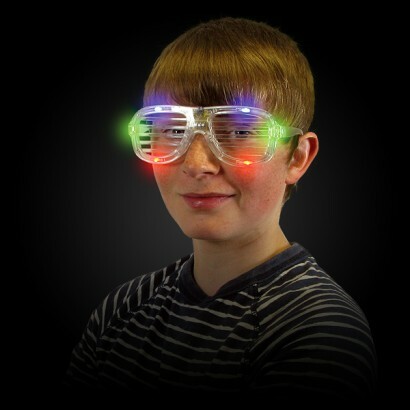 Super cool, bright and eye catching, these fantastic Flashing Shutter Shades are perfect for adding a little flair to your outfit! 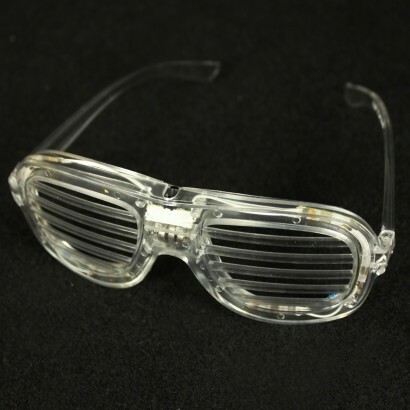 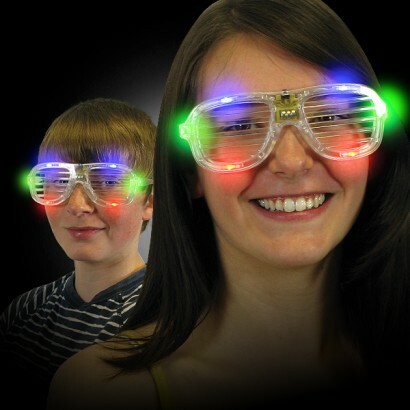 Clear white plastic, they'll go with anything and are lit by red, green and blue super bright LED's in three funky modes. 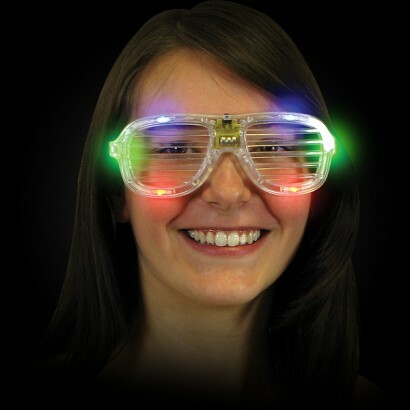 Perfect for fancy dress, for costume props or simply just parties and fun!